London is not only the capital of Great Britain but also a Mecca for having a great holiday full of fun. Every year more than 30 million overseas and UK travelers visit London and this city has always something special for every visitor to impress and to remember. We have prepared a list of major Christmas activities and places to visit in the city on the Thames so that you would not miss anything. And London boasts a great variety of attractions and entertainments for every taste and budget. Almost anywhere. 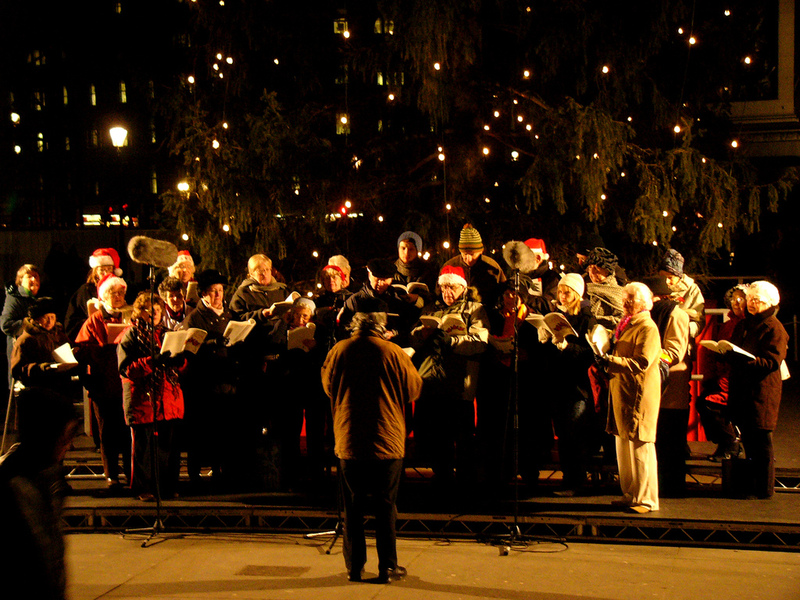 During the festive period, Christmas carols will be heard from many streets. You will find a series of musical events and traditional services in the historic St Paul’s Cathedral. Celebrity reading on 15 December, Family carols on 17 December, traditional Christmas Carol Service on 23-24 December and the Midnight and Christmas Day Eucharist on 24-25 December – all in the heart of London. Moreover, most of these events are free and you do not have to buy a ticket. On 15 December we advise you to attend the charity concert in Chelsea at Cadogan Hall and celebrate Children & The Arts’ 10th anniversary (adult tickets from £24.50). The event will gather such celebrities as Aled Jones (The Snowman), Penelope Wilton (Downtown Abbey), opera singer Danielle de Niese and pianist Joe Stilgoe. On 18 December go to Westminster Abbey to listen to the Choristers singing Benjamin Britten’s famed sequence of carols. The next day at 7 pm carols will be performed by the Mayor’s Christmas Carol Service in the beautiful surroundings of Southwark Cathedral. Until 23 December choose a day and go to Southwark Cathedral to attend the annual Finnish Carol Concert, Southwark Cathedral Choir Christmas Concert and Candlelight concert. 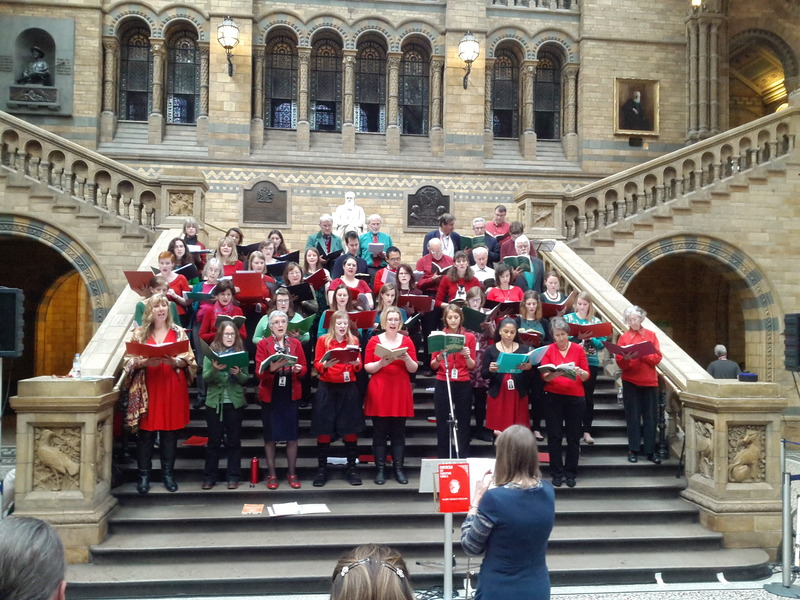 Otherwise head to Trafalgar Square where more than 50 carol groups will sing for an hour to raise funds for charity organisations. It will take place next to the world-famous Christmas tree which is an annual gift from Norway since 1947. St Martin-in-the-Fields has prepared an extensive program starting on 23 December with classic Christmas carols in a jazz-focused festive concert and continuing until 2 January. You can also listen to choral scholars’ performances and numerous concerts. 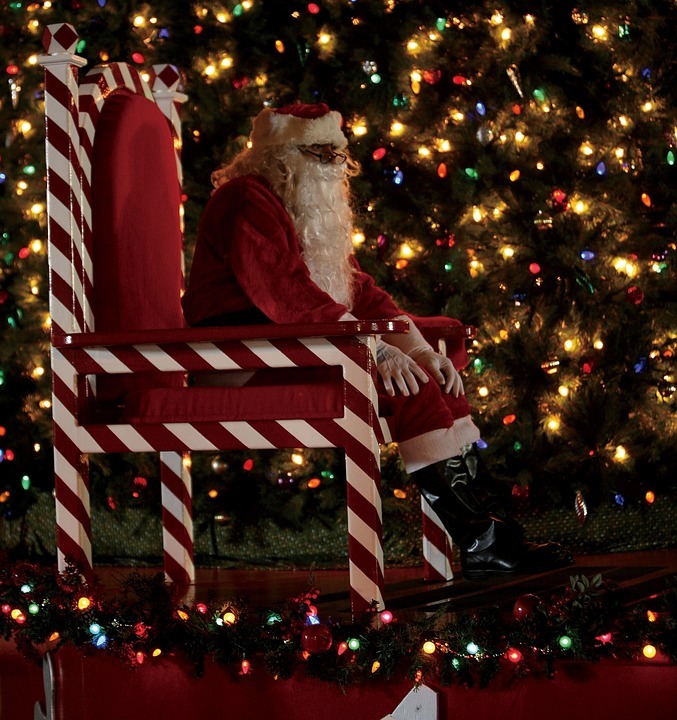 This year Father Christmas will be waiting for you in dozens of places in London. If anyone has doubts how Santa Claus can be present in several places at a time, we have a short and simple answer: it’s magic, everything is possible and real on Christmas. So, whether you are at Morden Hall Park, WWT London Wetland Centre, Greenwich Market, Legoland Windsor, Museum of London, Museum of London Docklands, London Zoo or Rainforest Cafe – don’t hesitate to meet Santa: he has a bag full of presents. Or sail with Father Christmas on the Thames and enjoy a sightseeing tour on the river with treats and gifts to all the kids while the boat will be passing the House of Parliament, the Tower of London and other iconic landmarks. Until 24 December the Royal Albert Hall is waiting for families to take children on an enchanting journey with puzzles, clues, incredible visits and Santa’s gift-filled grotto. The tour of the concert venue is led by a Victorian doorkeeper who will reveal the Royal Albert Hall’s secrets. One child ticket costs £26.50, adults go free. 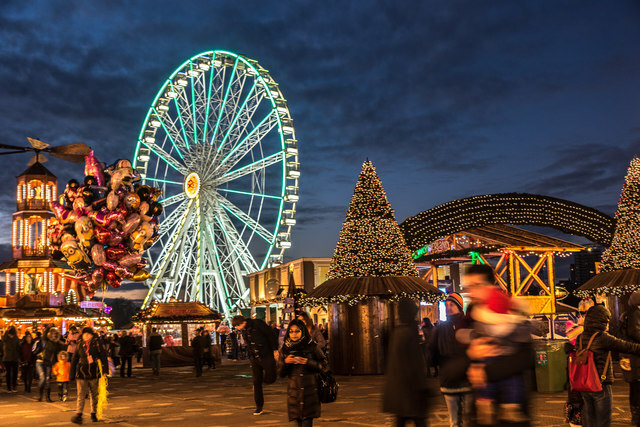 Until 2 January go to the Winter Wonderland in Hyde Park that will take place for the 10th time already. Lots of fun and Christmas activities include the UK’s largest outdoor ice rink, performance by world-level ice skaters on an ice stage with The Imperial Ice Stars’ The Nutcracker on Ice, visiting the Magical Ice Kingdom with icebergs, a lost island and ice sculptures, a dazzling showcase by Cirque Beserk and enjoy the magnificent panorama 60m above the city on the Giant Observation Wheel. After that shop for festive goods at the German Christmas market, the Angels Christmas market and Fairies Market offering anything from decorations to jewelry. And this is not everything offered by the Winter Wonderland! Enjoy Zippos Christmas Circus with acrobats, jugglers and clowns in the Mega Dome; The Sooty Christmas Show with magic, music and laughter, the carousel, rides and funhouses at the Traditional Fairground; and magical Santa Land where you can meet Santa and his elves. 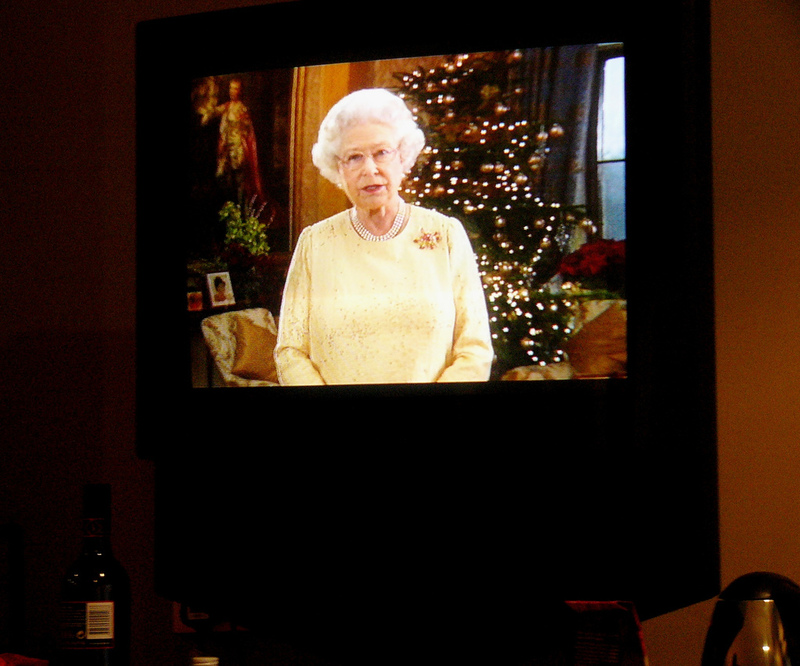 Another great Winter festival will be held at Southbank Centre until 25 January. Go to the popular Winter Market full of crafts, handmade goods and festive food, Charity Shop Emporium, warm up in the two-storey Swedish-style Rekorderlig’s Cider Lodge or in the Hoplocher Bar with beer, lager and ale. Enjoy marvelous circus performances in the NoFit State’ big tent – they present BIANCO, or listen to Elvis Presley, Johnny Cash and Jerry Lee Lewis in the festive rock ‘n’ roll musical Million Dollar Quartet. Young people will love the open-air ice skating rinks with DJs and club nights at BUMP Rollerdisco and a fairground ride on the 60m-high Starflyer. If you adore ice skating in dramatic surroundings, go to the Tower of London Ice Rink until 3 January, or to Hampton Court Palace Ice Rink, Natural History Museum Ice Rink and Westfield London Ice Rink until 8 January. The magical atmosphere created by the beautiful lights, amazing and old buildings circling the rinks and the real winter heaven. 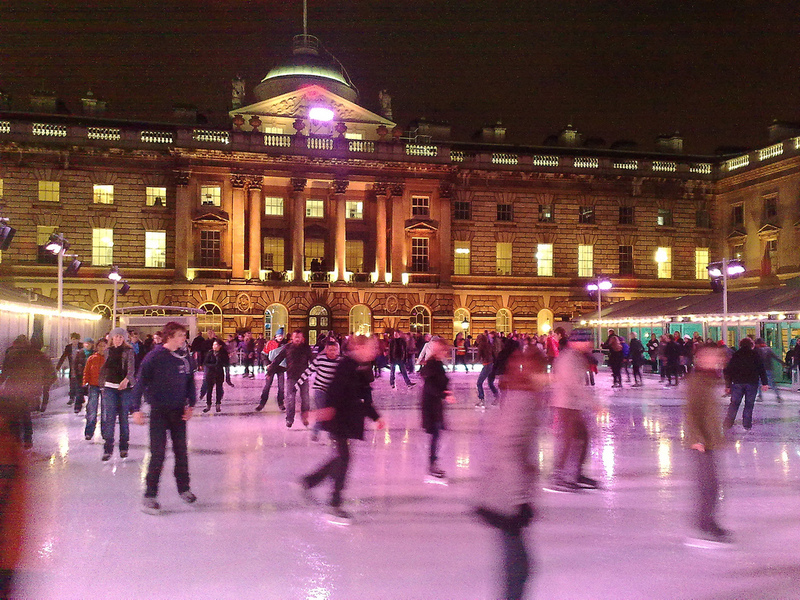 Until 15 January you will hone your skills at Skate at Somerset House or learn to skate at the weekend skate school located in one of the most beautiful outdoor ice rinks in London. Ice rinks surrounded by modern architecture, skyscrapers and lights are found at Canary Wharf in Canada Square with a LUMINOCITY lights spectacle and at the Broadgate Ice Rink located in Exchange Square. Didn’t find an activity you like? Read the next article on MeetnGreetMe blog and learn what else is offered to Londoners and London guests during this magical time!